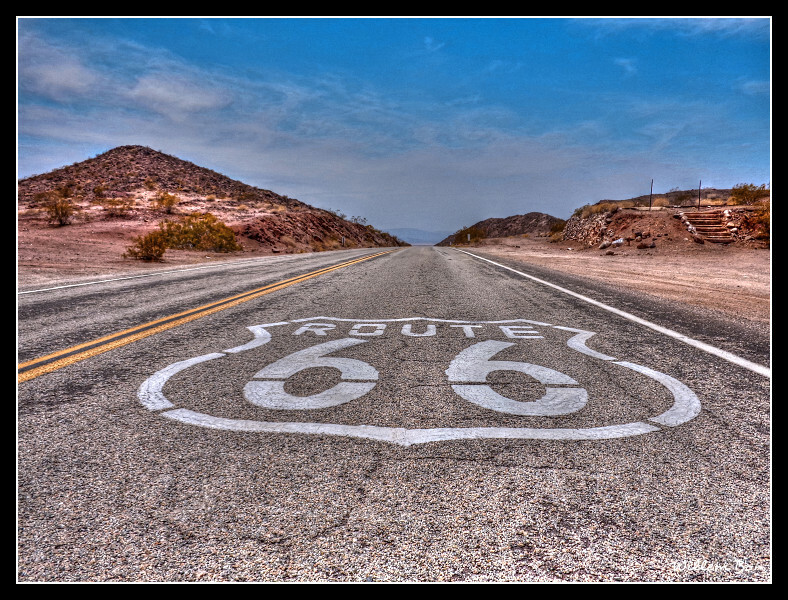 Route66, Amerika's legendarische highway van Chicago naar Los Angeles. 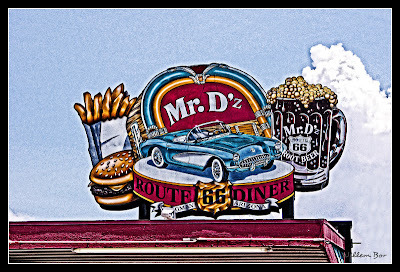 Een ding is zeker, Route66 rijden is een belevenis op zich! Heden en verleden kruisen elkaar gedurende de hele reis. Ik ben er door gegrepen en ik heb de gehele route meer dan 10 keer gereden, zowel als reisbegeleider van internationale groepen motorrijders als privé in een auto en een camper. De informatie in dit boek is dan ook gebaseerd op mijn persoonlijke ervaringen. 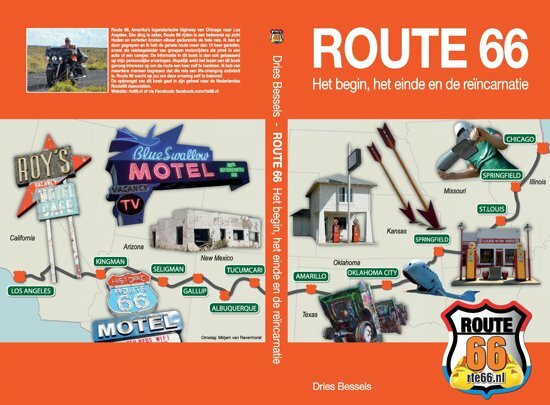 Hopelijk wekt het lezen van dit boek genoeg interesse op om de route zelf een keer te bereizen. Ik heb van meerdere mensen begrepen dat deze reis een life-changing activiteit is. 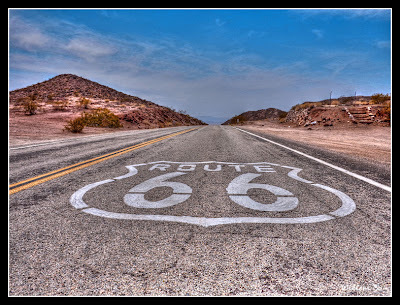 Route66 wacht op jou om deze ervaring zelf te beleven! My name is Willem Bor and I’m from the Netherlands. And now I hear you thinking, why a guy from the Netherlands makes a blog named Route 66 Art? My wife (Monique) and I fell in love with the Route 66 on our first visit in 2005. Since that time we visited the Mother Road several times. 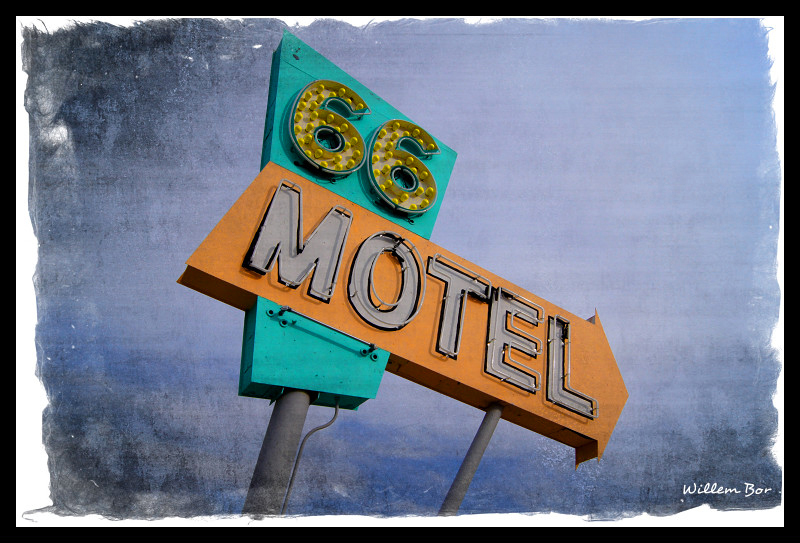 One of my hobby’s is photography and I’m so glad that it’s digital now because I make so many pictures along the Route 66! 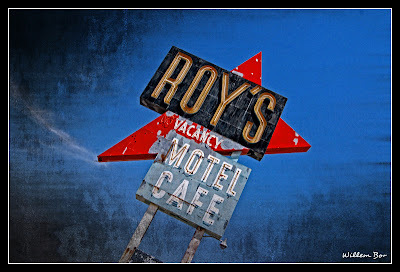 There are so many nice old buildings, hotels, service stations and not to mention, all the beautiful (neon)signs. I started this blog because I want to share some of my photos with others. 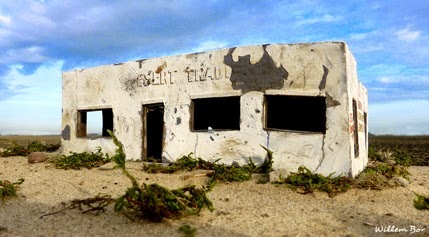 Another hobby is to make scale models of all kinds of things. In 2008 I’ve started my own business after the company I worked for, went bankrupt. 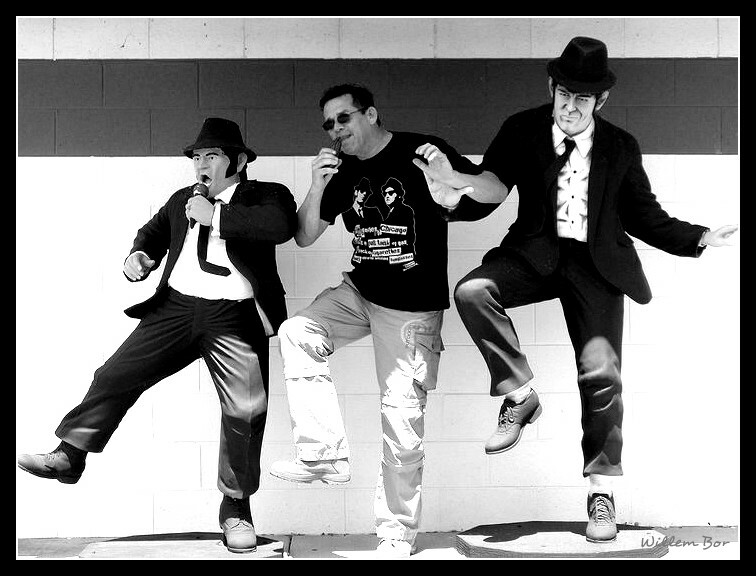 In 2008 the business went very well. In 2009 the recession started and business slowed down. In 2010 it’s even worse and I’ve got a lot of spare time. What to do….! 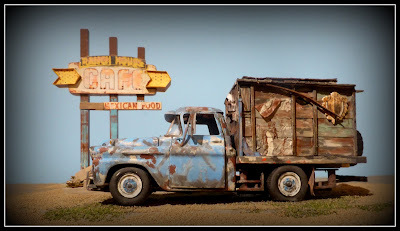 I started to make Lucille’s Roadhouse (1927) in Hydro OK (scale 1:25). 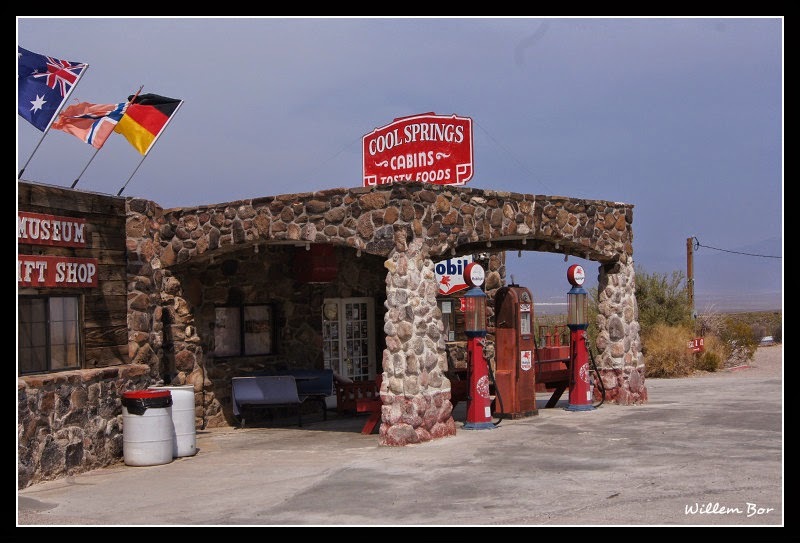 The next project is a scale model of a renovated 66 Super Service Station (1930) in Alanreed TX (scale 1:25). 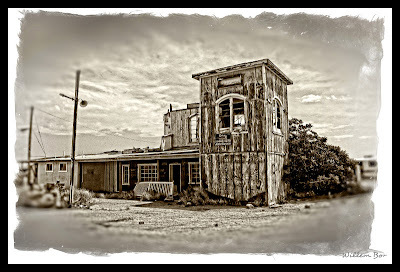 There’s still no work at all so my next project is the Little Juarez diner (1950s) in the ghost town of Glenrio TX (scale 1:25). On the picture we made, it seems as if there is another name on the sign under the name that we can read and I’ve mailed to some Route 66 Associations if they know what the name of the diner was. And then we got an email from Judy….!! 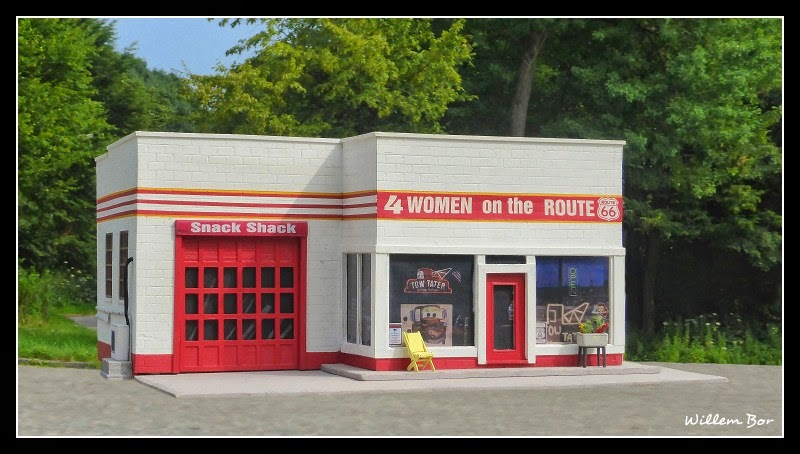 Judy Wallmark, Treasure Hunter for the Route 66 Museum in Lebanon MO, mailed that there is an incomplete diorama in the museum and asked me if I was interested to complete the diorama! What an honor!! But I make models in scale 1:25 and after a lot of emails, I found out that this model is a lot smaller (scale 1:100)! 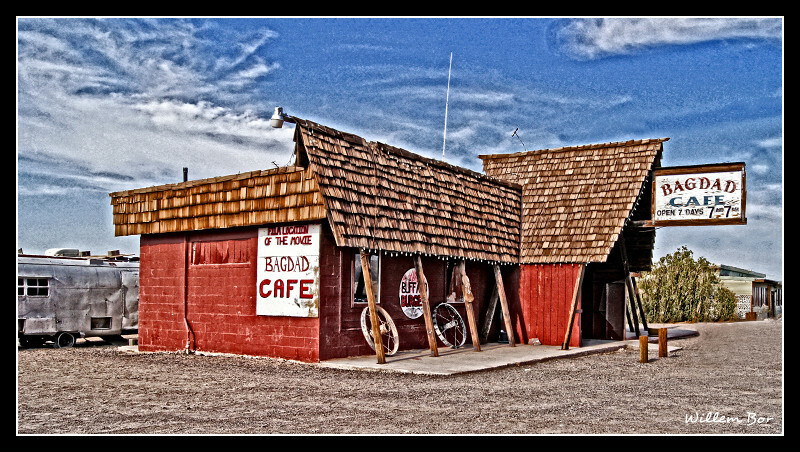 In between I made another Route 66 icon, the Twin Arrows Trading Post (1955) near Winona AZ (scale 1:25). After receiving a lot of pictures and the measurements of the diorama spaces the work began! Shopping for materials, wood, glue, paint and some tools. It took a lot of hours re-building the Nelson Tavern (1930). There were only some old postcards and pictures and mostly from the front. So…. how was the back of the Tavern looking? But after a lot of thinking, cutting, sawing, painting etc. 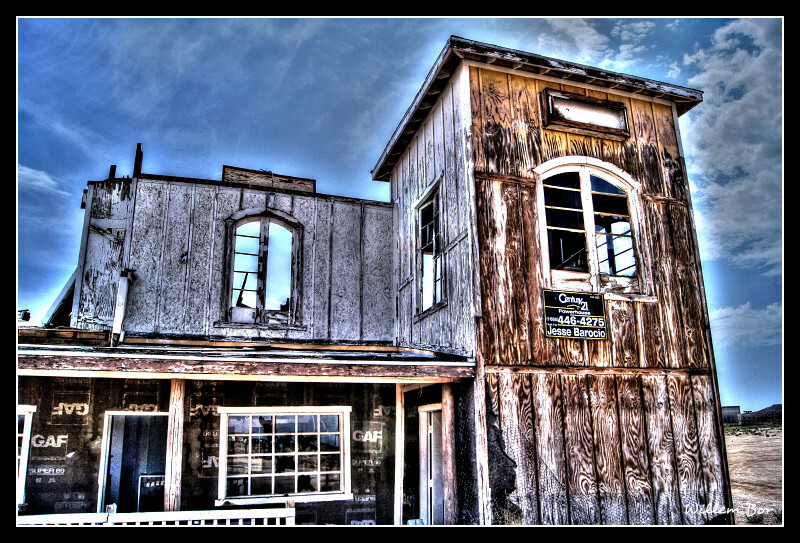 the Tavern started to look like how it was on the pictures. 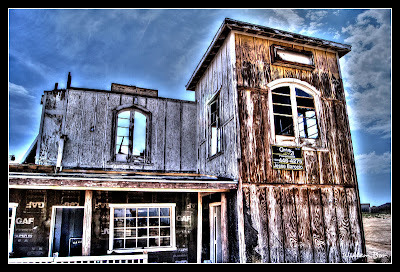 In June 2010 me and Monique brought the Nelson Tavern personally to Lebanon and there was an official unveiling. We were celebs for a day!!! Also in 2010 we were on the site of the burned-down Riviera Roadhouse (1928) in Gardner IL. 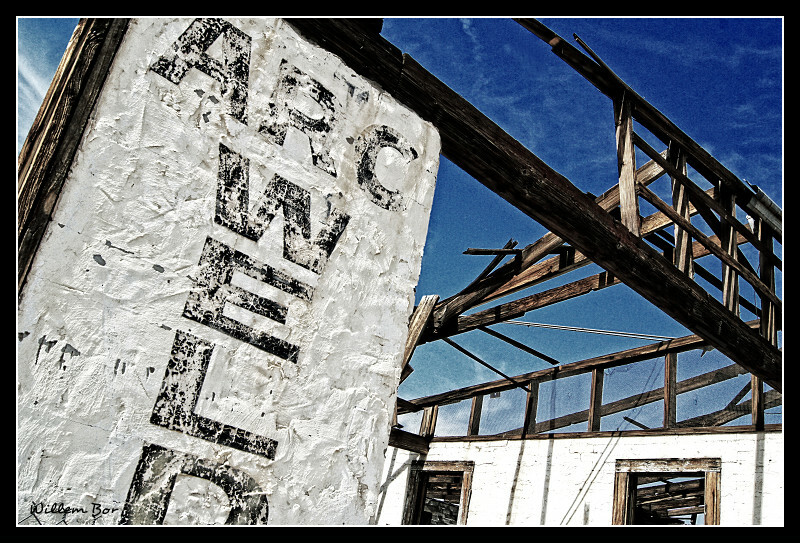 It was burned down two weeks earlier. 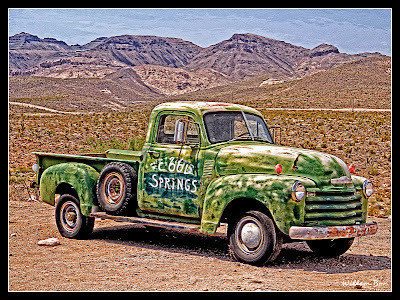 At home I’ve searched the internet for pictures and John Weiss (Route 66 Association of Illinois) send me some too. And I make a scale model of the Riviera Roadhouse and the Streetcar (scale 1:100). HELP, I need a bigger house……..!! The Riviera is followed by another place that is closed unfortunately. 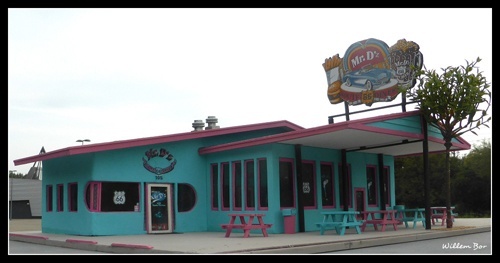 It’s a place in Villa Ridge MO, the Diamonds, the biggest Roadside Restaurant in the world. Joe Sonderman made some pictures for me and took some measurements. That one I had to make scale 1:100 because else it’s too big. 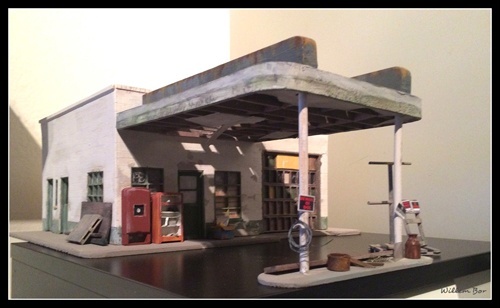 Now I’m working on a model of a Standard Oil Gasoline Station in Odell IL (1932) (scale 1:25). 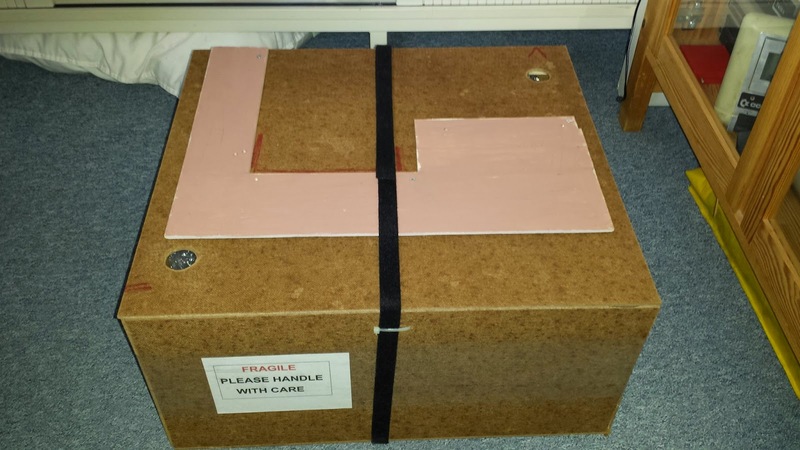 As I said before…..I need a bigger house because I can’t stop making scale models!! 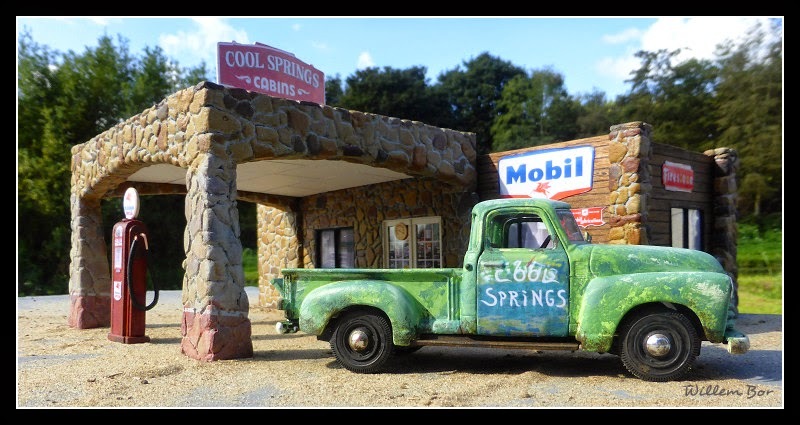 Longtime readers probably know of Willem Bor of the Netherlands, who in the last few years has created miniatures of well-known Route 66 landmarks for museums or private individuals. 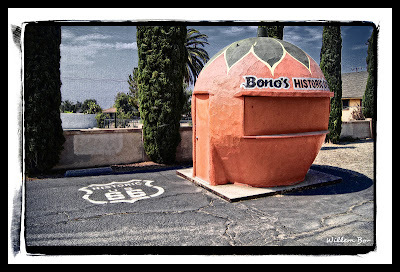 The bad news is Bor contracted cancer and had to cancel one of his upcoming trips on Route 66. 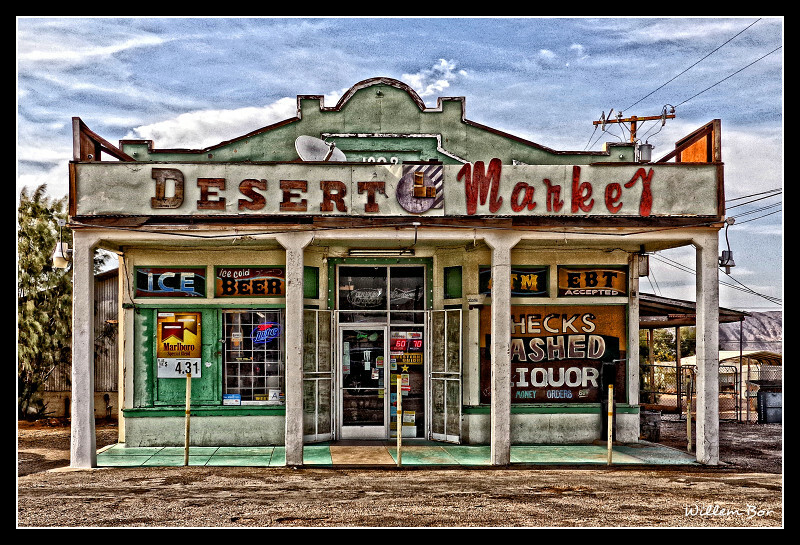 The good news is because he’s got a lot of time on his hands while undergoing treatment, he’s created more Route 66 miniatures. Here are photos he sent of his latest creations. I’ve linked to photographs of the real thing for comparison’s sake. The jewelry is different from that of Bob Lile. She likes to show all the layers of paint and that is what a lot of people like. Fortunately, we have a lot of friends who pick up pieces of the ground for us since we are not able to collect it ourselves. More about the Cadillac Ranch jewelry may be found here. 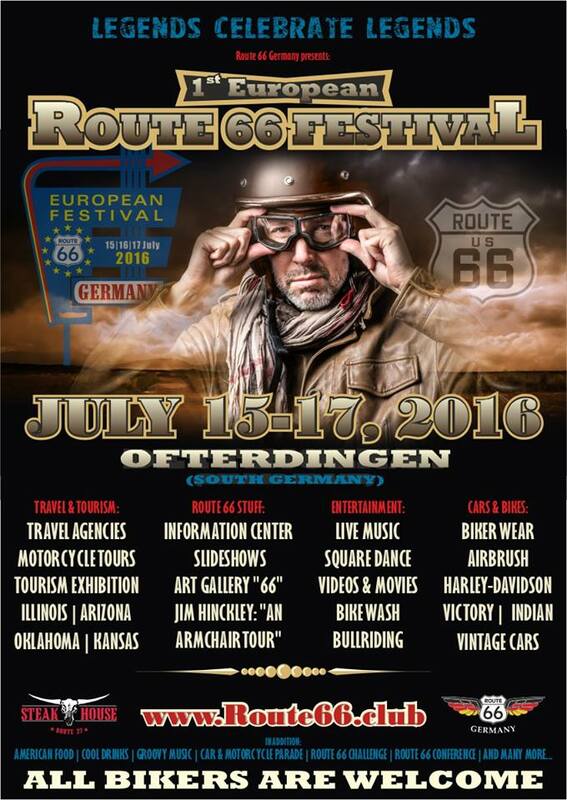 1st European Route 66 Festival, July 15-17, 2016. 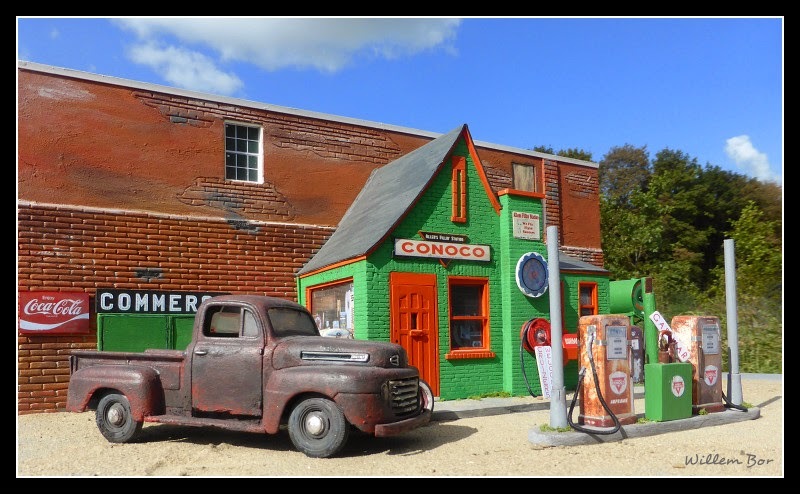 Willem Bor of the Netherlands, who has gained renown for his exacting miniatures of Route 66 landmarks, recently has completed or is about to finish three more small-scale sites on the Mother Road. 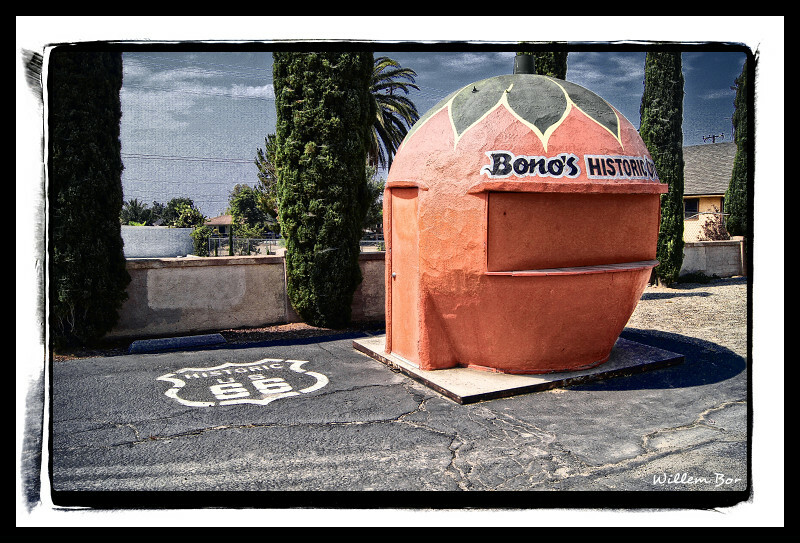 Bor recently finished another Route 66 trip, which you can read here. I have to admit, the reproductions are so good, I barely could tell Bor’s re-creations from the real thing. We live is an apartment that is not so big so we need to get rid of a few models because we really have a lack of space! I can’t make any more models and I like to!! 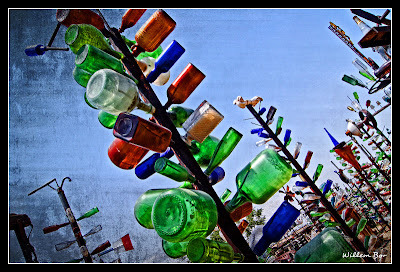 […] I like to donate them to Route 66 Museums (not to companies or individuals). 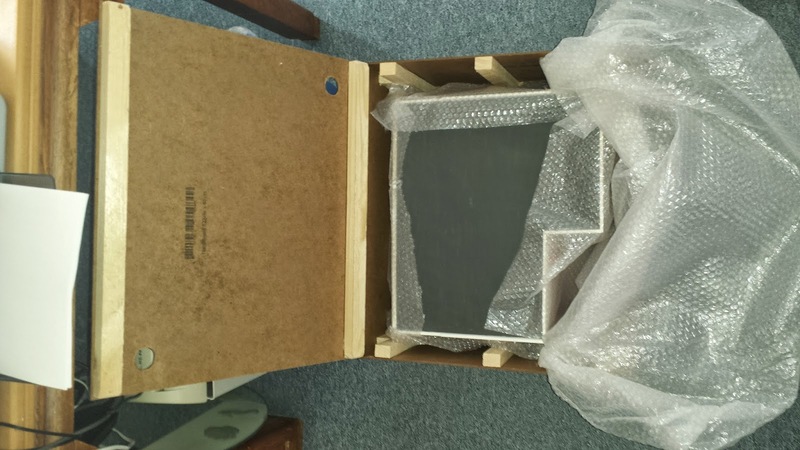 The museums only have to pay for used materials and shipping costs. 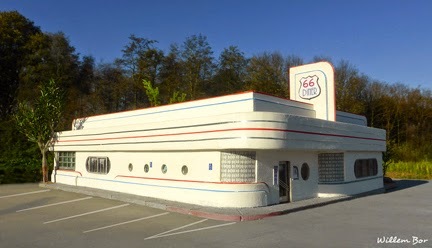 If you’re the curator of a Route 66 museum, email Willem at bordesign(at)planet(dot)nl to make arrangements. Many of his models also may be seen here. 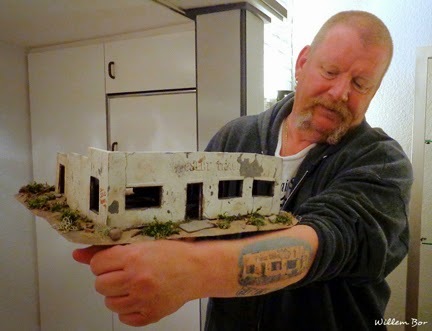 Willem Bor, a roadie from the Netherlands who’s been building detailed scale models of Route 66 landmarks, has made a few more in recent months as gifts to fellow Mother Road fans. The first is a miniature of the ruins of the Painted Desert Trading Post in eastern Arizona. 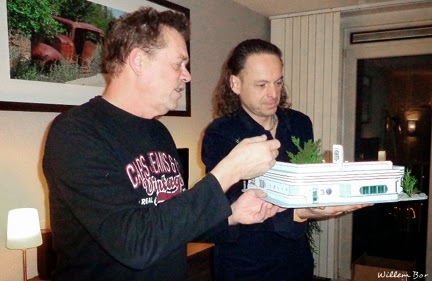 He gave the model to Route 66 tour guide Dries Bessels, who loves the site so much he even has a tattoo of it on his forearm. 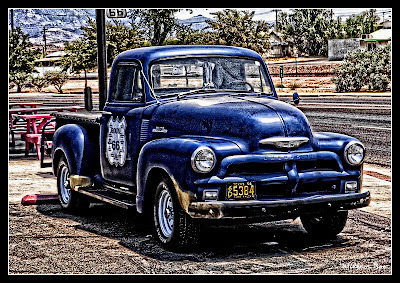 And here’s the real McCoy (image by Steve via Flickr). 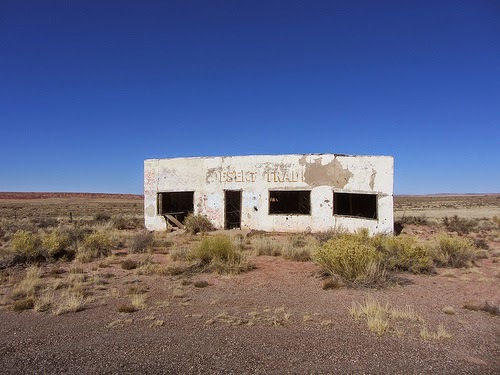 The Painted Desert Trading Post, which has been closed for decades, is on private property near the Petrified Forest National Park and difficult to access without a four-wheel drive vehicle. 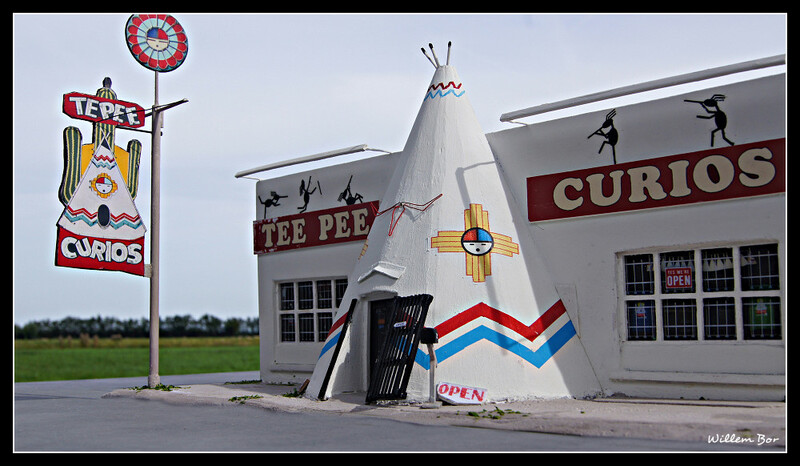 It’s for these reasons — and others — that Route 66 News doesn’t list it on the Attractions page. 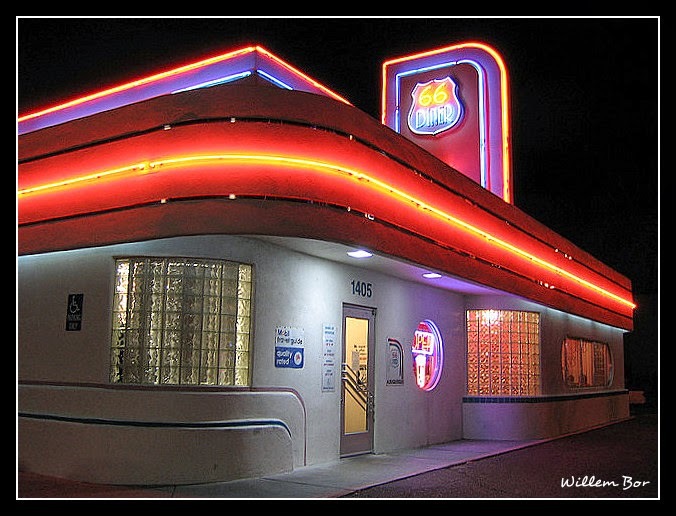 The second miniature is of the 66 Diner in Albuquerque. 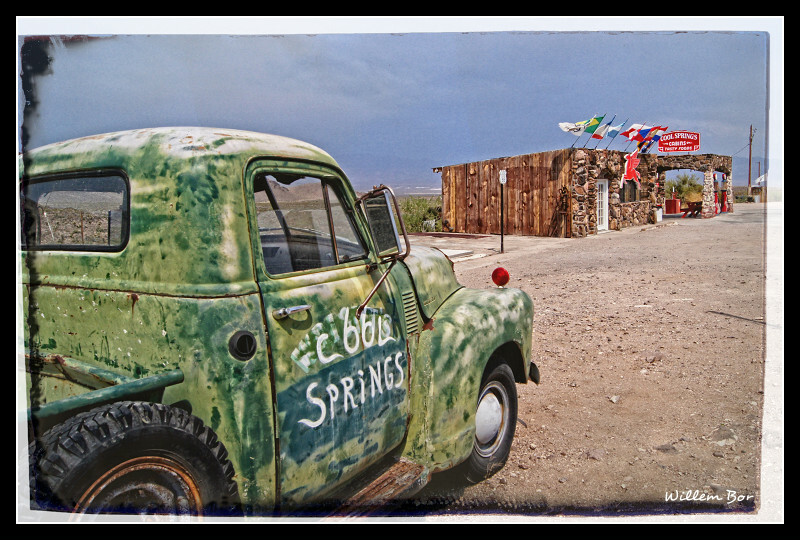 Receiving the model is Jeroen Boersma, who explores a lot of obscure alignments of Route 66. 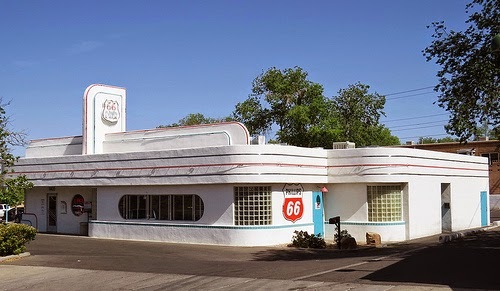 Bessels and Boersman also are co-founders of the Dutch Route 66 Association. 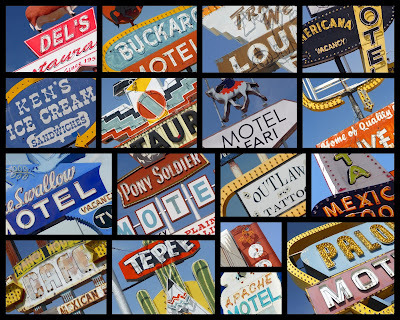 You can see many of Bor’s Route 66 scale models here. 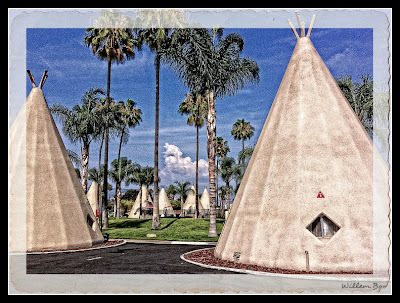 Bor also said in an email he’s working on models of Cool Springs Camp near Kingman, Arizona, and the Rich & Creamy ice cream stand in Joliet, Illinois. In 1997 Ned Leuchtner passed through the area. The beauty, history and majesty of the area intrigued him. When he found the ruins of Cool Springs, the spirit of the place fascinated and inspired him. Ned Leuchtner tried repeatedly to buy the property for three years but to no avail. Finally, in the summer of 2001, the owner called and said she wanted to sell. 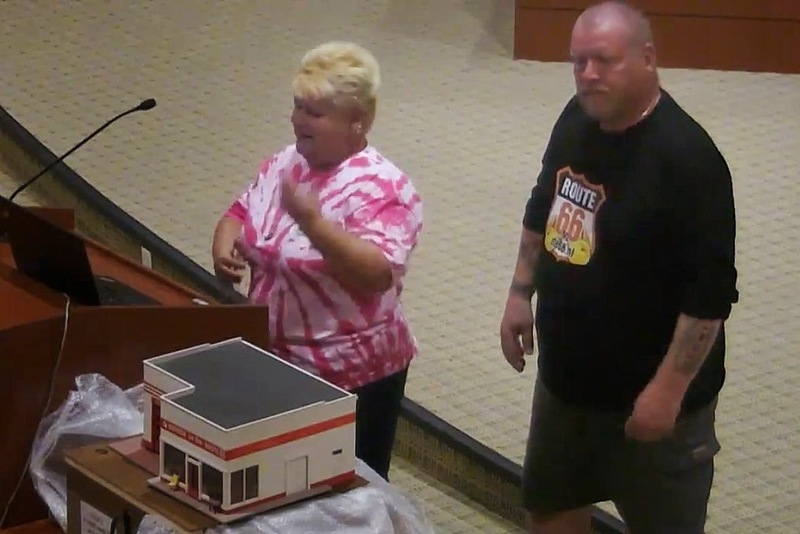 She was moved by Ned’s appeal to rebuild Cool Springs. The rebirth of Cool Springs had begun. 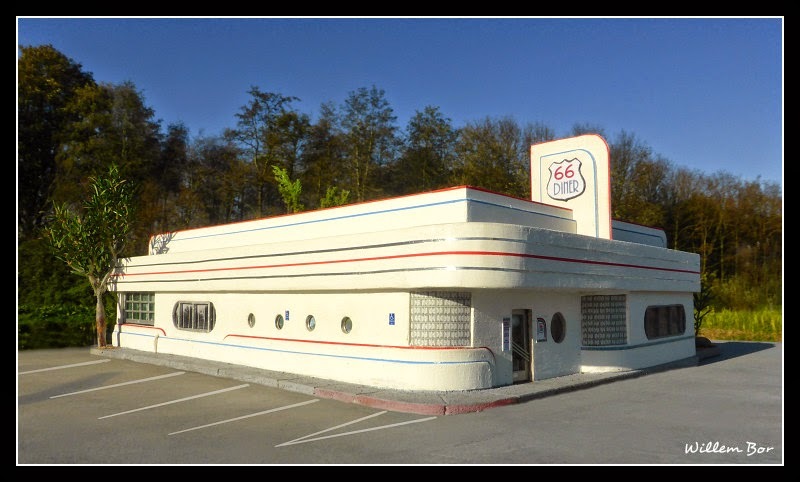 Step back four decades and enjoy the 50s atmosphere of the 66 Diner. 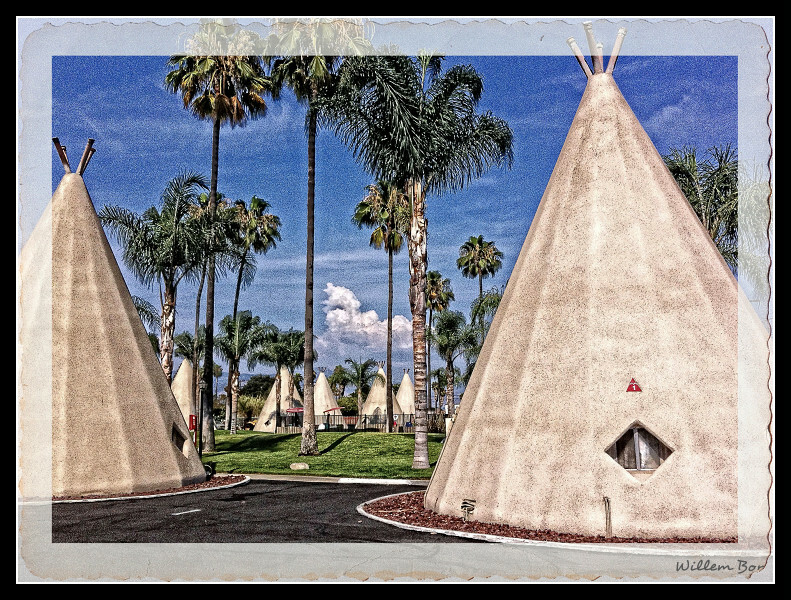 You will instantly be taken with the decor and the friendliness of the staff. 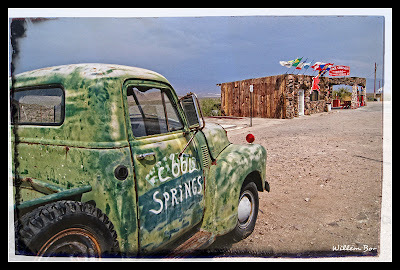 Tom Willis, the owner and vice president of the New Mexico Route 66 Association, has certainly captured the spirit of the era. 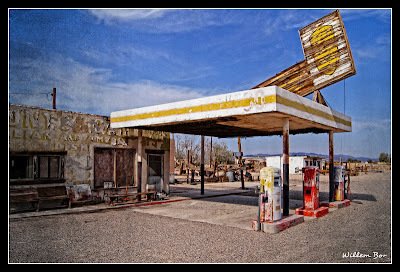 A blast from the past, hole in the Wall Conoco Station, but Ethyl does not live there anymore. 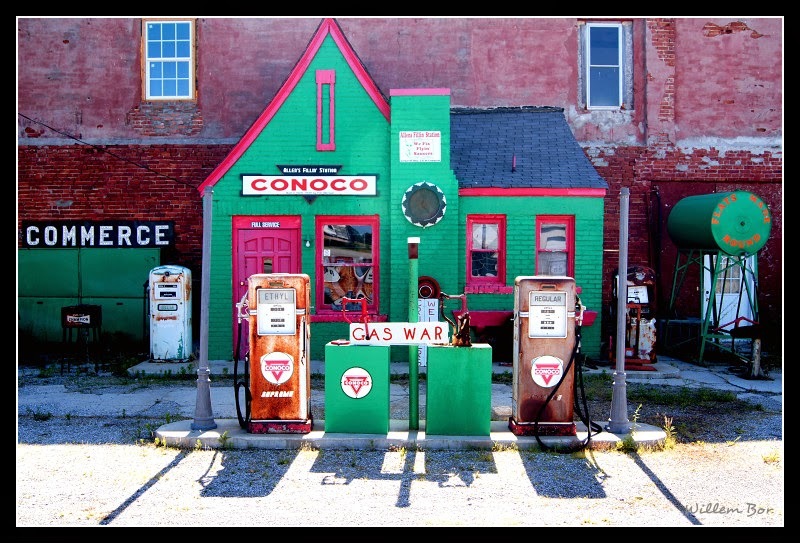 This tiny, former gas station, looks a little like a film set, but it is real, and was built in 1929/30, by F.D. Mitchell, probably another casualty of the interstate. 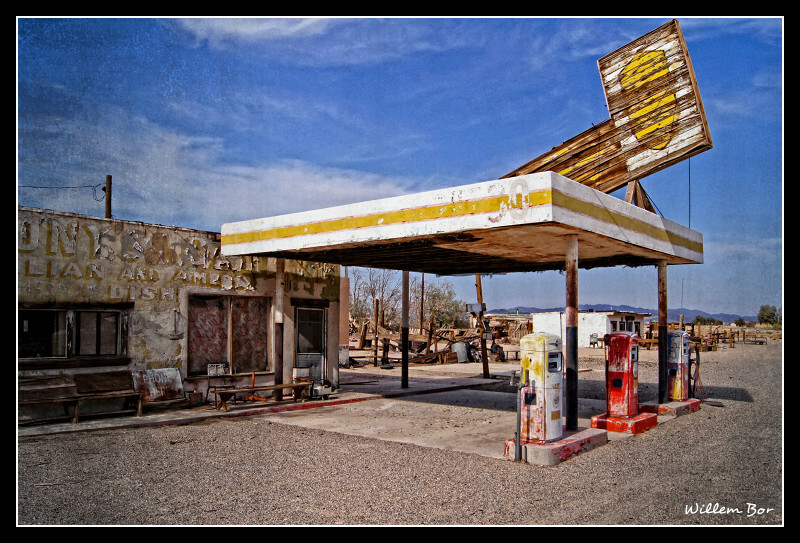 It would appear that the Station became a Phillips 66 Gas Station in 1938. the station has been closed for at least the last 20 years. 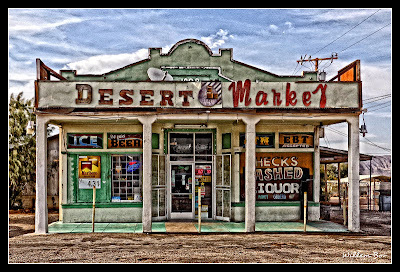 It is said that Bonnie & Clyde may have bought their gas here. Tijdens het Internationale Route 66 Festival in Kingman, AZ, waar we helaas zelf niet bij aanwezig konden zijn, heeft Dries Bessels wederom een model van Willem geschonken aan iemand die wij zeer waarderen! 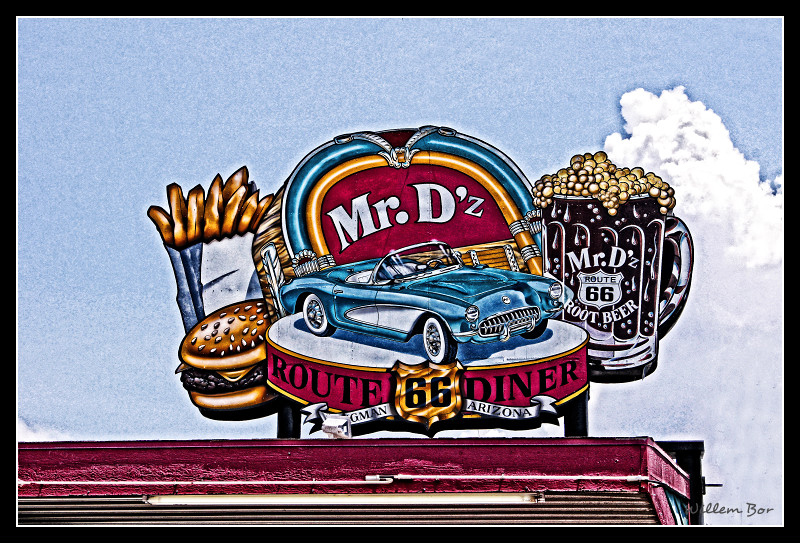 Dries heeft het model als handbagage meegenomen, een vriend van Dries, Chris, ook een Route 66 fanaat, heeft het model verpakt in een op maat gemaakte kist. Via Facebook werden we op de hoogte gehouden door Dries over zijn reis met het model, wat zoals wij zelf ook weten, niet echt meevalt! "So far so good. My handluggage is still with me while we are boarding the plane. 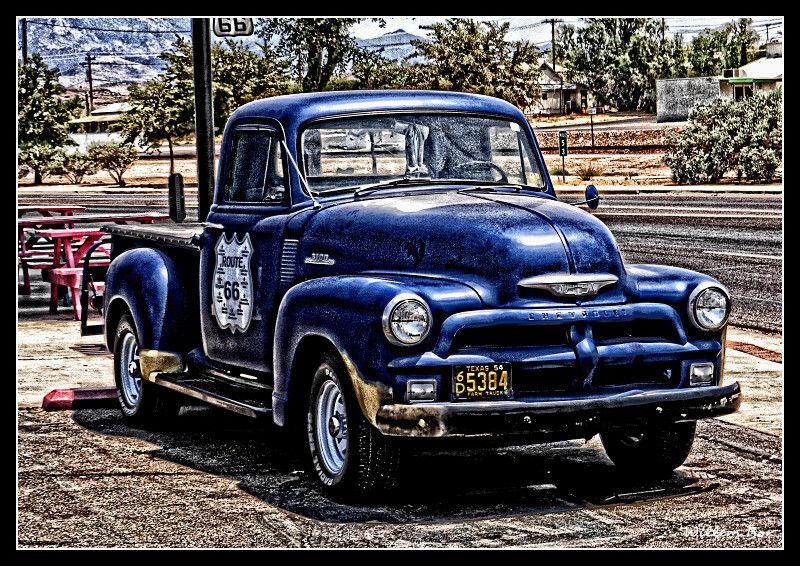 I will be glad when we are in Kingman though so I can hand it over at the Route66 festival!" "Well, we made it to Houston without any damage!!!" "And now in Las Vegas after some 17 hours travelling. Tired but the box is completely unharmed! 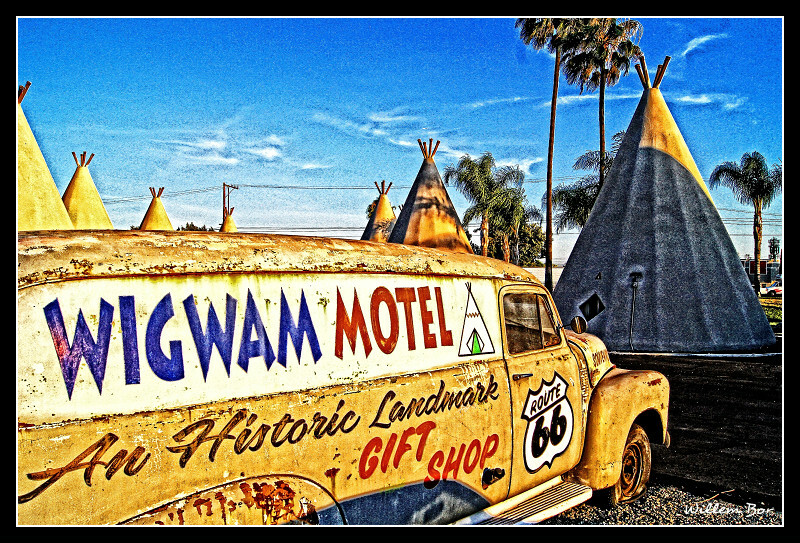 Now, on to Kingman!!!" Hij heeft het model tijdens zijn presentatie, die overigens geweldig was, overhandigd aan Melba Rigg. Melba is één van de eigenaressen van Cars on the Route (voorheen 4Woman on the Route) in Galena in Kansas. Zij wilde altijd al graag dat Willem een schaalmodel maakte van hun pand. Ze was er zo blij mee dat ze zelfs een beetje moest huilen. 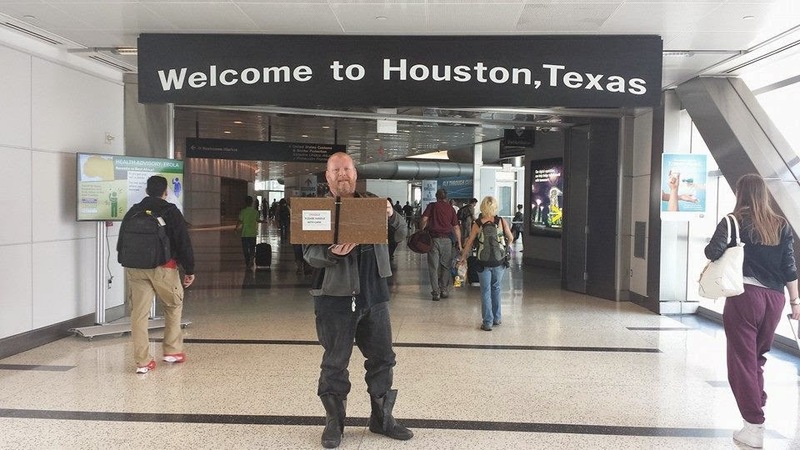 Dit model heeft weer een hele goede plek gekregen in de USA! Now I know for certain that the model is in the right place!! !